KOHZU offers a broad range of high precision rotary axes. These rotation stages offer solutions from 39mm diameter to 800mm diameter along with a broad range of payload capabilities. These stages are manufactured as stepper motor driven or in most cases manual micrometer drives. 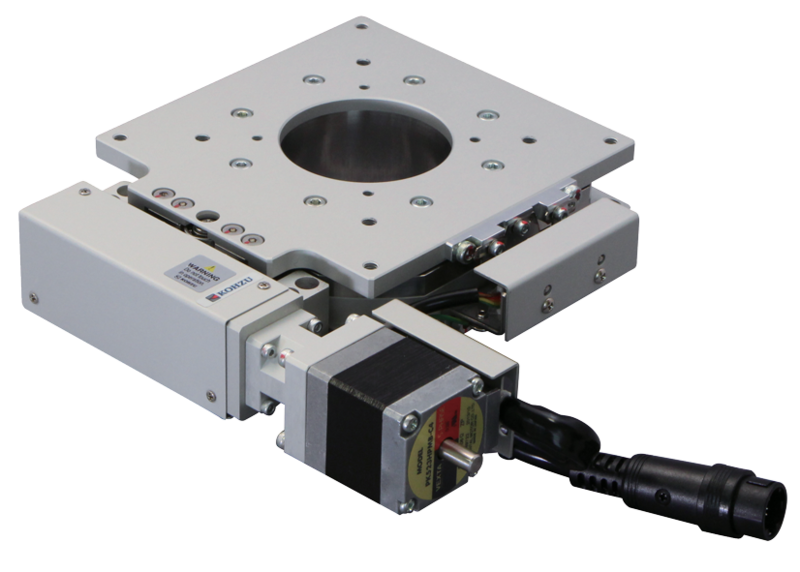 Motor driven stages can be upgraded with rotary encoders attached to the motor or tape scales with rotary encoder heads for improved precision control. They can be upgraded with gearboxes for significant improvement in full-step resolution plus the stages can be upgraded with cleanroom grease. 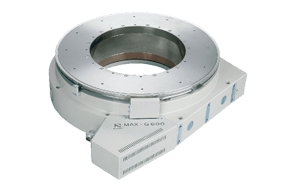 KOHZU’s precision rotation stages, also known as goniometer stages, are highly used in synchrotrons around the world, especially the MAX series for ultra-high payloads in applications such as diffractometers. It is common in synchrotron x-ray applications to upgrade the rotary axis with a harmonic gearbox to significantly improve the full stage resolution of the stage. KOHZU’s offering also includes a rotary stage with 1 micron (1 µm) run-out demonstrating their leadership position in precision stages. KOHZU offers a series of manual and motorized integrated XY and Rotary (R) stages with clear aperture/openings through the stage, commonly used in microscope and optical applications.